It’s been a busy 3 weeks since our last report, we have been traveling through BC & Alberta working consumer trade shows and in-store promotions. On Saturday Vic Carrao of STS will be at the Wholesale Sports Store located in Langley for their one day Super Sale. Vic will be working the floor answering any questions you have on rods, reels or techniques to put more fish in the boat, drop by and say hello. 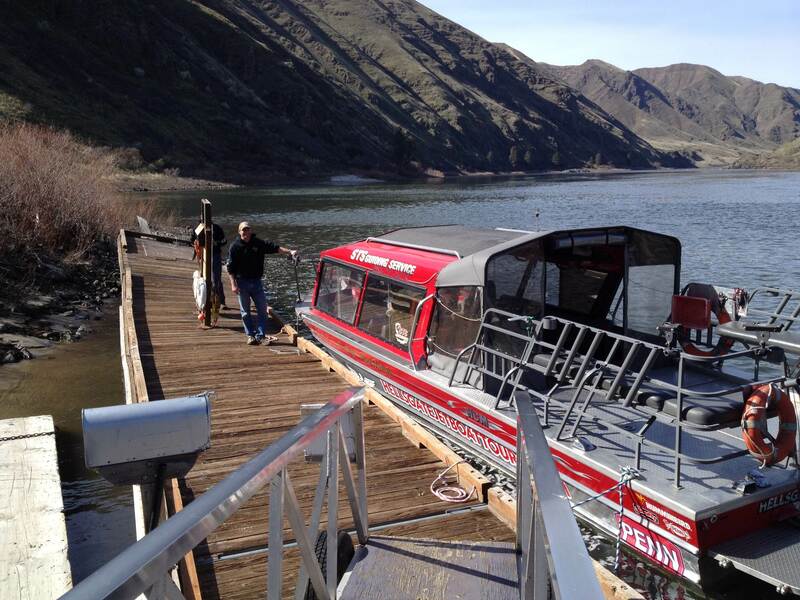 We will also have our 28ft Hells Gate Jet Boat Tour boat on site. Next weekend Vic will be in Grande Praire, Alberta. If you live in the area, drop by and say hello. Steelhead fishing this week has been excellent, lots of fish in the system. With warmer air temperatures these fish are very aggressive which could explain the great fishing this past week. Lots of rain in the forecast for the next couple days which could have some effect on the river, water levels are currently moderate but a few down pours and we could see some increased water levels. Time to scale down your offering and move to smaller dime sized roe bags or single egg imitations. Our favorite is a pink glo bug, white yarn with a shrimp tail hanging off the back. Give it a try. 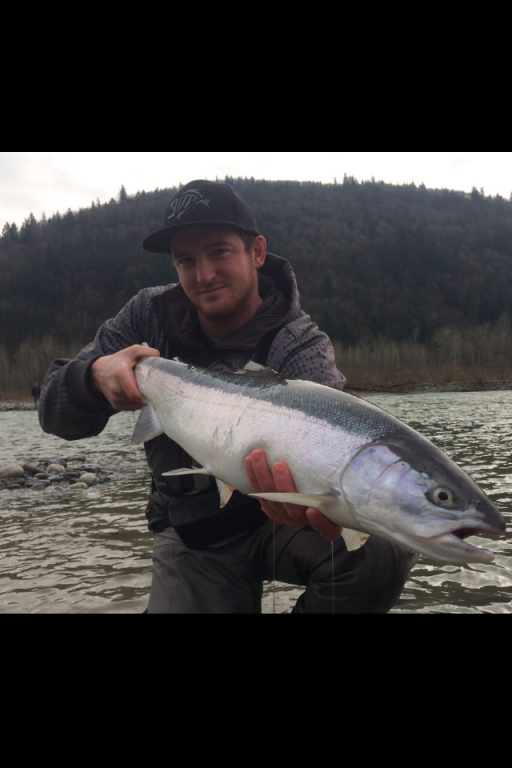 STS Guide Braeden Szlabon with a beauty Vedder River Steelhead caught this week. 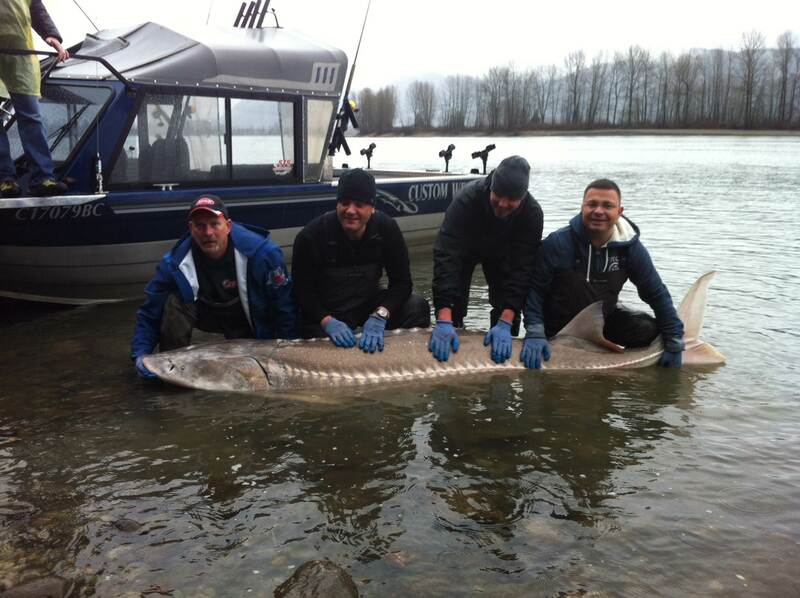 We had our first few charters go out this week for sturgeon, last week STS Guide Rob Deileman landed a 9ft 1 inch sturgeon so needless to say he is on the leader board. Two other charters that went out this past week were not so lucky, Doug managed 9 sturgeon on a 6 hour charter and 2 sturgeon on a 4 hour charter. Water temperatures are on the rise but still near the 40 degree range which is quite cold for sturgeon. As water temperatures rise, sturgeon activity will also increase and the fishery will become more consistent. There really hasn’t been a "best bait" as these fish are not really keyed in on any one food source but that will change soon. Sturgeon will soon start to feed on Eulachon as these small bait fish will begin their river migration over the next month. Several regulations that you need to be aware of when using Eulichon, you must have proof of purchase with you while fishing and you must take the head off as the rule for using Fin Fish is that it must be headless. If you are looking for some new sturgeon gear, drop by Wholesale Sports in Langley this Saturday and I would be happy to help you choose the right gear to get you into that trophy sturgeon. Fishing for winter Chinook Salmon has been fair to good the past couple weeks, lots of keeper fish being caught as well as under sized. Our 28ft Kingfisher is just getting a quick oil change down at Pitt Meadows Marine and then she will be back home at the Delta Airport Hotel where we have quick and easy access to both Saltwater salmon fishing and lower River Sturgeon Fishing. 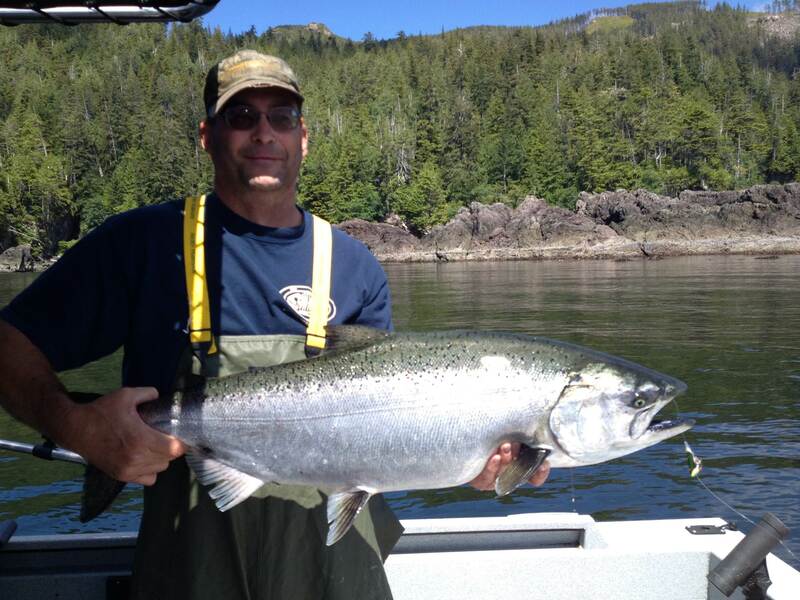 As the weather improves over the next month fishing for salmon in Vancouver area and Gulf Islands also improves. Last season we did very well and caught fish on almost every charter so we are really looking forward to the upcoming season. 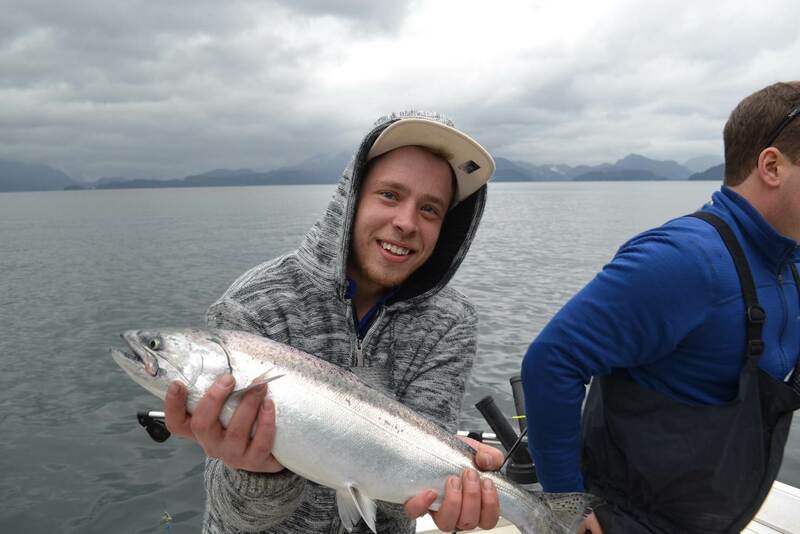 An estimated 20-70 million sockeye salmon is going to make this summer crazy busy catching fish. If you are looking for that dream day, book now to secure your date. July and August are going to be excellent. – go to our Facebook page and just post the words " Win A FREE Gibbs/Delta Saltwater Fishing Package" under the report. 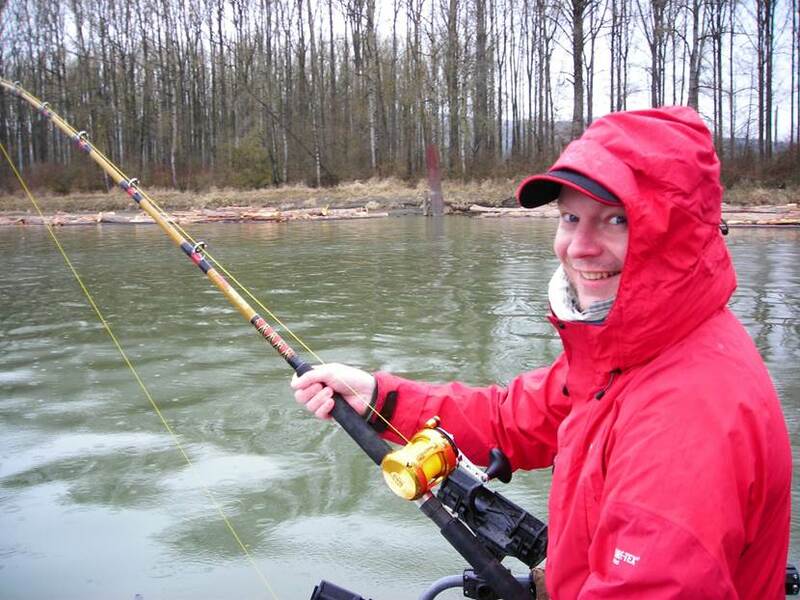 Speaking of Saltwater Salmon Fishing, I just finishing reading the pre-season forecast for the Columbia River. 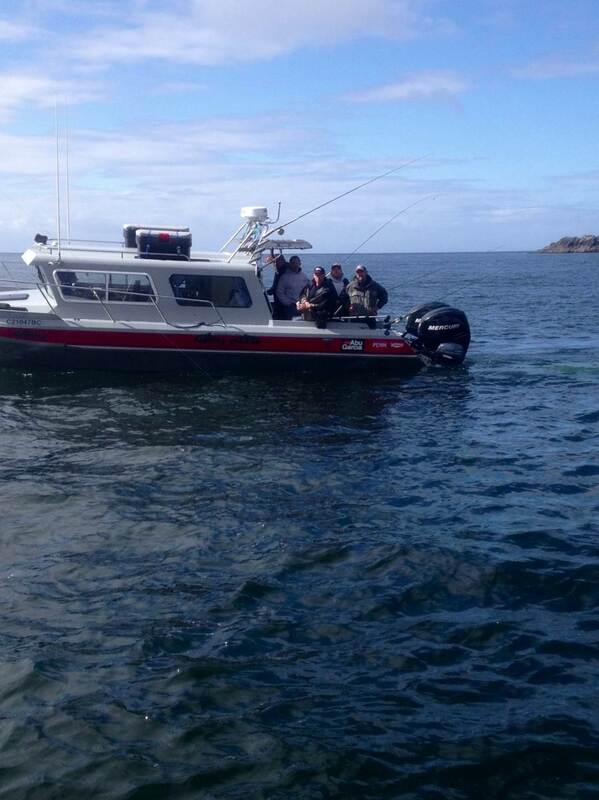 1.6 Million Chinook and just under 1 million Coho is forecasted to return down south. Why do we care what the return is to the Columbia you ask? Well, all these fish must swim past Vancouver to get to their home waters. We have two locations to target salmon on the ocean, our Delta Airport Hotel Location is just 13 minutes from the mouth of the Fraser River where millions of salmon are expected this summer and our Vancouver Island location near Winter Harbour offers some of the best salmon fishing found anywhere in British Columbia and will target not only BC bound salmon but also Columbia River Salmon. Great News from our hard working friends at the Sport Fishing Institute – This seasons Halibut allocation is slightly different from 2013, we are now able to keep some larger Halibut – DFO has changed the sizes for retained halibut this season to 90 cm and 133 cm respectively, so that anglers will be able to retain slightly larger fish this year. This is great news for all of British Columbians but there is still much work to do. We still have some seats available for our Sturgeon and Jet Boat Seminar, if you are interested please give us a call or e-mail. Last but not least I thought I would speak on the recent sale of HCM to Renaissance Marine. In case you have not heard Hells Canyon Marine is now owned by the same people who build Kingfisher, Duckworth and Weldcraft Boats. From what I have been told Renaissance will use the HCM facility to catch up on some of their other lines of boats and once that is complete, they will continue to build the HCM brand. In the meantime if you have any issues with your HCM that is under warranty, just call HCM. If your warranty is up or you have a jet boat and need some pump work or other repairs, WET EVER Service Repair & Fabrication can look after all your needs. WET EVER LLC is owned and operated by Eric Sherman of Clarkston Washington, Sherman and partner Andy have worked on HCM’s, Customwelds, Bentz and many other brands of Jet boats. These guys are some of the best when it comes to repairs and fabrication, they have been working on STS boats for many years. You are currently reading Report for March 28 at Hells Gate Jet Boat Tours Blog.